For a long time I did not eat breakfast. I was very much “a cup of tea is all I need in the morning” type person. You will have heard the phrase “Breakfast is the most important meat of the day”. For some people it may be and there will be others that do not like to eat in the morning. I think it is up to you and it should be based on how you feel or what is best for you. A simple guide is – eat if you are hungry and don’t if you are not. 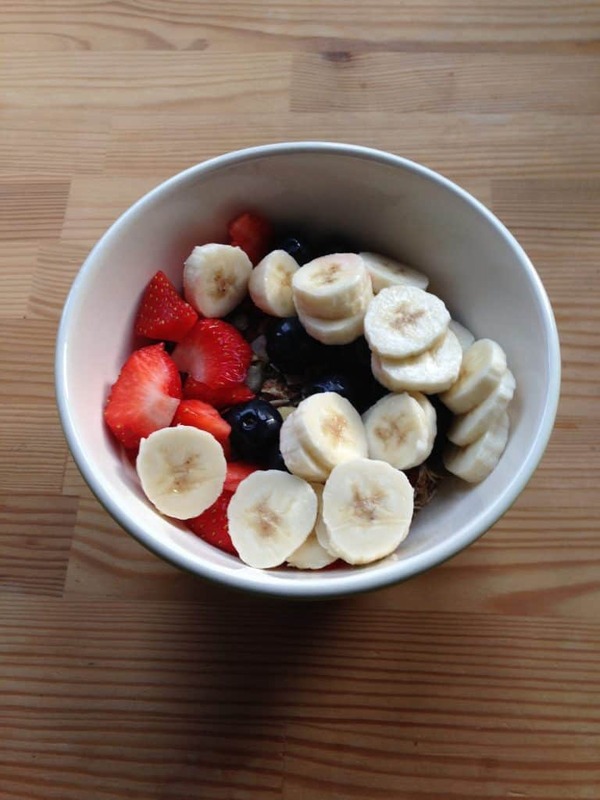 What I have found since I starting eating breakfast regularly is that I have more energy, my concentration improves, my mood improves and I tend not to snack on things I shouldn’t. If I cycle to work, I am pretty hungry when I arrive and there is no chance I will make it through to lunch without breakfast. My breakfast “revolution” started in 2014 when I went to Yorkshire for the start of the Tour de France. I stayed with my step grandparents (Brian and Sheila) and breakfast was porridge oats with fresh berries on top. 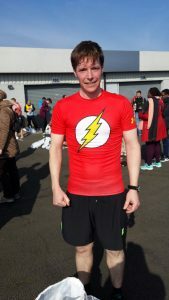 I tend to be an egg on toast man especially at the weekend, but I was a guest and reluctantly tucked in to my oats and fruit. I was happily surprised how much I enjoyed it and it set me up nicely for some hollering and cheering on the streets of rural Yorkshire as 150 pro cyclists flew by. 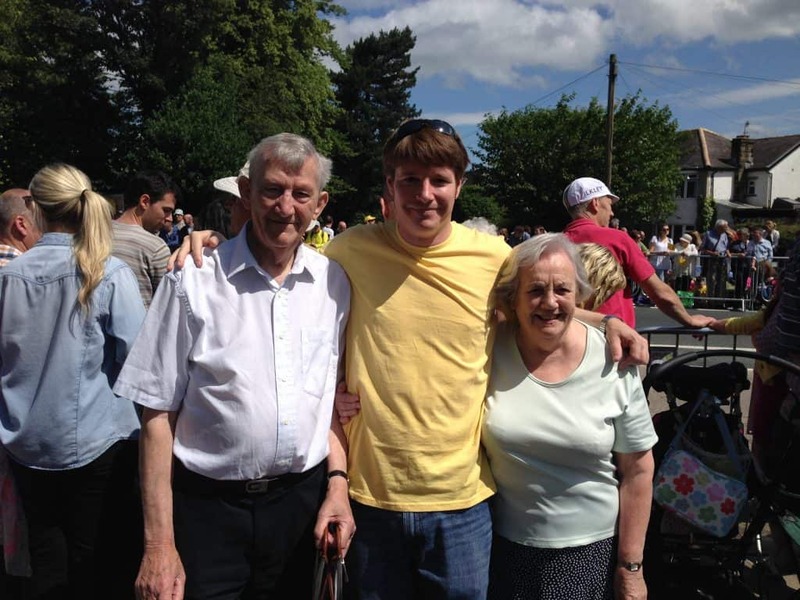 Enjoying the sunshine with Brian and Sheila at the Tour de France in Ilkley in 2014! Once we got back home to London, my girlfriend informed me that she used to make her own nuts and seed mix that she put on the top of porridge oats. Up until then we had been eating toast and jam/nutella in the mornings. She also enjoyed the breakfast at Brian and Sheila’s, and came up with the idea of mixing the two breakfasts. So that is the story behind how the “Oats with Nuts/Seed Mix and Fruit breakfast” was conceived. Below are the ingredients and method for this super easy breakfast that you will really enjoy. I thought that I never liked cereals, or seeds, or fruit, but this combination changed my mind! 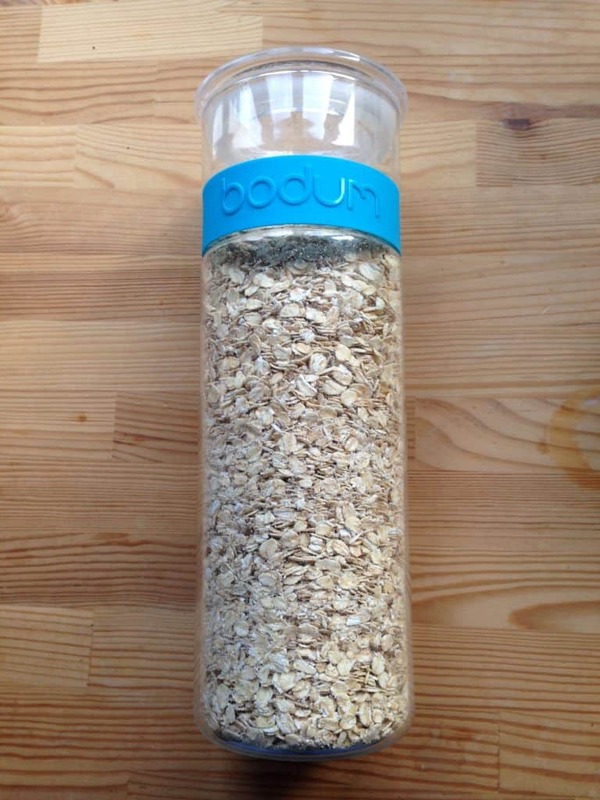 Porridge oats in a handy storage vessel! These come in a number of varieties and at various prices but I have found that Tesco Organic Porridge Oats or Flahavan’s Irish Organic Jumbo Oats are the best. 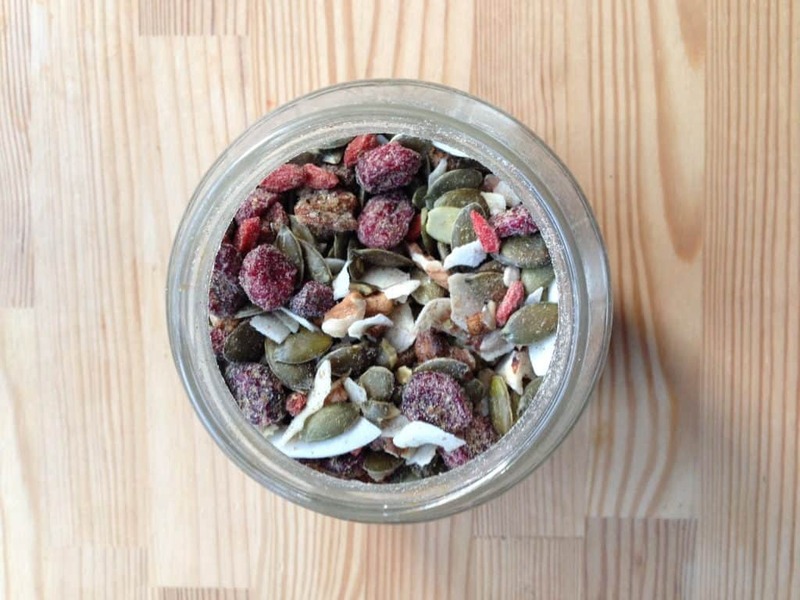 The Mix – made up so you can spoon it on in the morning! You can use anything you like (within reason). You probably have a number of items in your kitchen cupboard that could be used. By making your own mix, you can add only the things you like. So if you are not partial to dried fruit, you can leave it out. Periodically I tend to make up a jar of this that keeps us going for a couple of weeks and saves time in the morning. You can chop up a few of the bigger items or even give them some of them a very quick blitz with a blender/food processor. Some of these items can be quite expensive if bought in small quantities in supermarkets. Try your local fruit and veg market to buy in bulk at better prices. Selection of fruits you can add to the top! Berries are now available all year round in supermarkets, buts it’s good to buy locally (or from your own country) and within season. You can even go foraging for wild berries; they are much tastier that cultivated varieties. Search out brambles near you. You can freeze them and save them for the winter. If you are taking the breakfast to work, like I do, frozen shop bought berries work very well (they keep the milk cold) and can be a little cheaper. Cows milks is fine, but I have found that it’s much tastier with either Alpro Fresh Unsweetened Almond Milk or Alpro Coconut Original Milk (does have more sugar that the Almond milk). Each of these can be now found in most supermarkets in either the chilled aisle or the grocery (non-chilled aisle) and help if you are trying to reduce your dairy intake. If you are super keen, you can even make your own almond milk (there are plenty of how-to websites and YouTube videos). Add the oats to a bowl/box. Add a table spoon of the mix to the top of the oats. 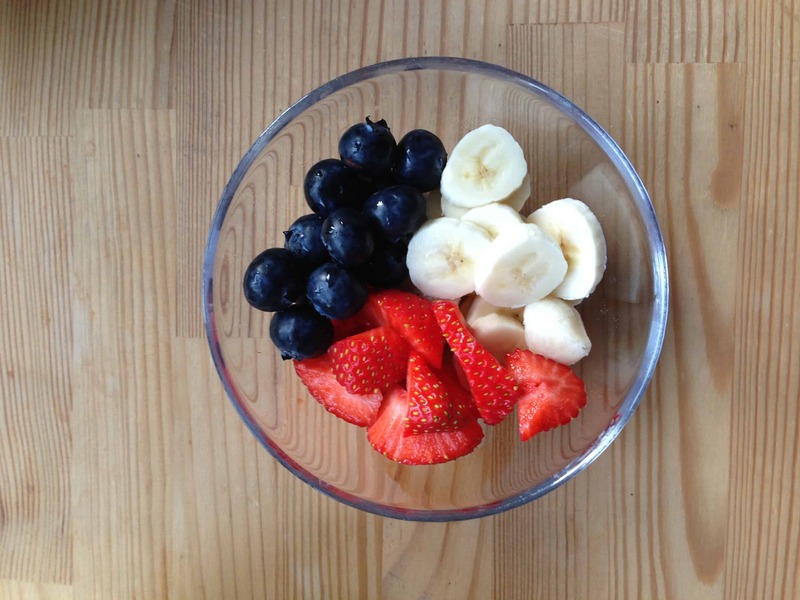 Add a selection of fruit you like to the top of the mix. Add as much milk as you like. It is best if you let the milk soak into the oats for a little while, so you may need a little more than you think. 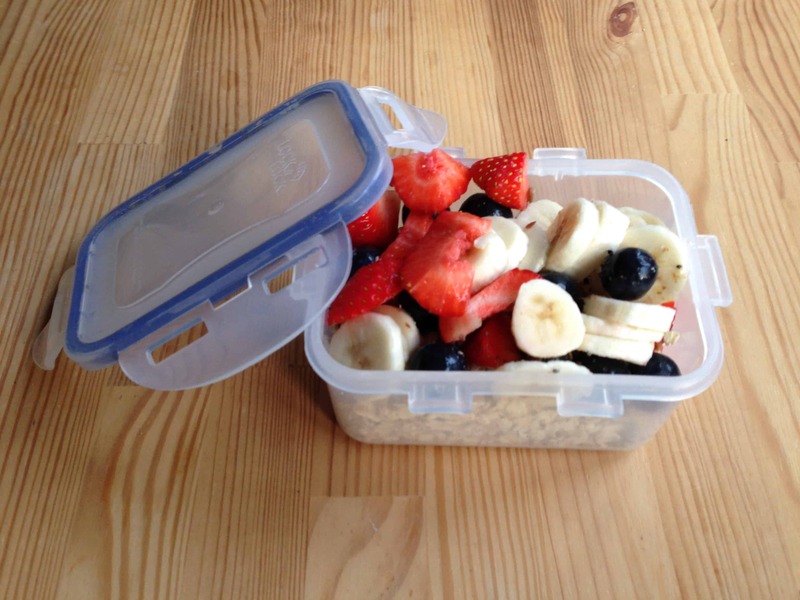 It can be made up the night before in a little Tupperware box, so it is ready to grab and take with you in the morning. Ready to take to work! I hope you enjoy the recipe and it helps to make eating breakfast more of a habit. Please let me know what you think by leaving a comment. Do you allow guest post on your blog ? I can provide hi quality posts for you. You made a number of fine points there. I did a search on the theme and found a good number of people will consent with your blog.